A. and I recently had a nice dinner at The Press Hotel's restaurant UNION. We were celebrating—we had eloped a few days before, and UNION turned out to be the perfect place for the two of us to enjoy a quiet dinner. While we made no mention of our reason for celebrating, the restaurant staff found out somehow and delivered several celebratory touches throughout our meal. UNION is in The Press Hotel, so called because of its location in the former home of the Press Herald's offices, and has the feel of a high-end home. 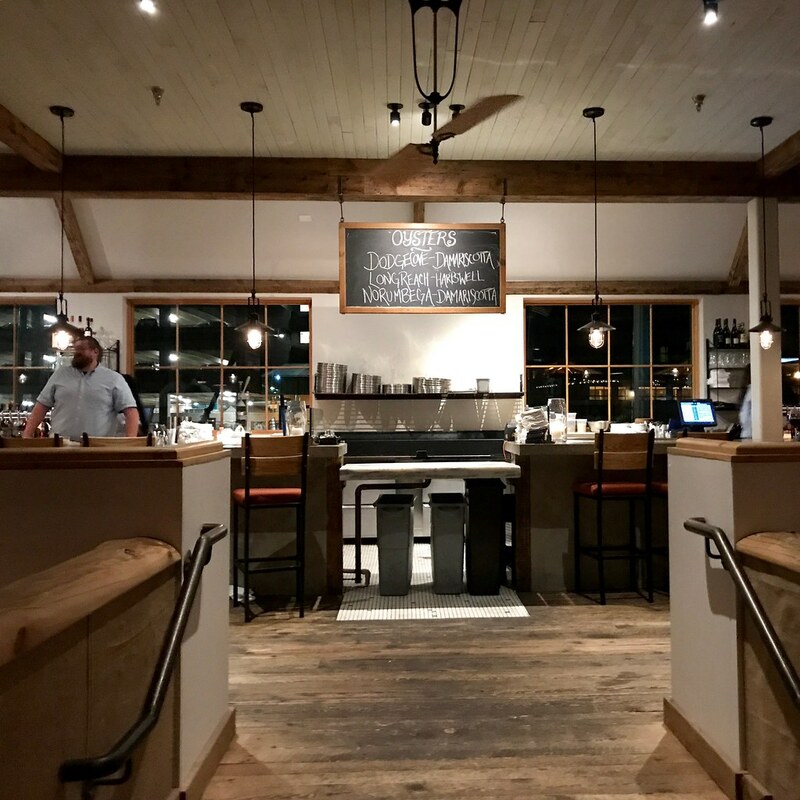 There's lots of blonde wood, slate flooring, marble bar tops, and interesting light fixtures. Everything feels soothing and like you're in experienced hands. The service, in addition to going above and beyond with the congrats and sparkling toast, was competent and friendly yet unobtrusive. We dined on the eve of the switch from the spring to the summer menu, so we sampled items from the newer menu as a preview. We started with a two appetizers: the summer zucchini cakes ($13) and the confit eggplant ($10). The zucchini dish was crisp fritters topped with jumbo lump crab meat, crab mayonnaise, and Old Bay pickles. As a Maryland girl, you know I loved this dish—although the chef said serving a blue crab dish to a native Marylander made him nervous. (He passed with flying colors.) The eggplant dish had a touch of spice to it, with the silky eggplant topped with fresh figs, yogurt, sumac, mint, and a sunflower cracker. Our entrees arrived after we cleared our appetizer plates—the highlight being the salmon in red curry ($27). 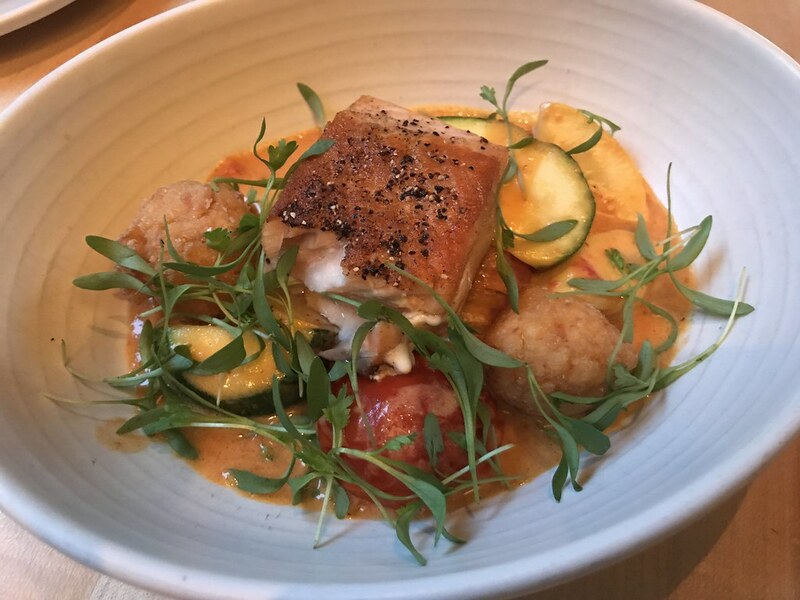 I loved this dish since any coconut curry is a gimme for me and because I thought salmon was an unusual choice for pairing with curry. But it went really well together, with the salmon being cooked perfectly—flaky and moist with a crunchy top. The curry wasn't too sweet and the fried jasmine rice balls added more crunch. We also enjoyed a pasta and meatballs dish with spicy nduja added to the tomato sauce ($22). The dish was featured as the "Market Plate," a rotating special showcasing seasonal ingredients the chef sources that day. But the pasta and meatballs are a regular item on the summer menu. I knew UNION's desserts were good, so when the offer came I ordered up the whipped cheesecake. A. debated between that and the eclair and the chef got wind of it and sent out the eclair too. 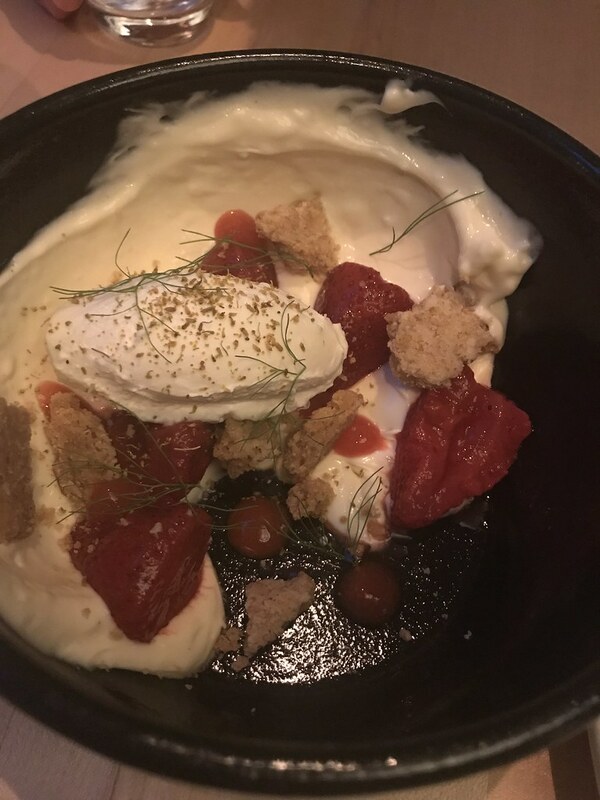 You can't go wrong with juicy strawberries, graham cracker crumbles, and cheesecake (I mean, I guess you can, but the kitchen at UNION didn't). The eclair itself was a little tough, but A. made it disappear nonetheless. 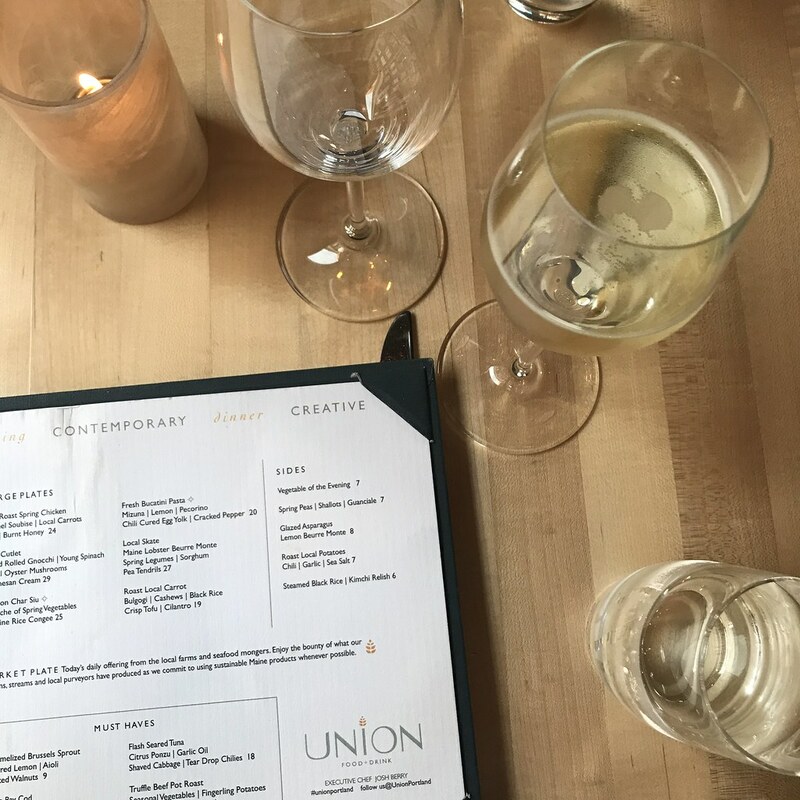 I often view hotel restaurants with suspicion, but with its understated decor, professional service, and an elevated yet familiar menu, UNION manages to transcend the stereotype. With its full bar (including local draughts and specialty cocktail menu) it's also a nice place to enjoy a drink and a snack at the bar. UNION serves dinner daily from 5pm on and also offers a weekday lunch and weekend brunch. I was invited to dine free of charge at UNION. I was not compensated in any other way, and the words and opinions in this post are mine alone. Dinner at Scales a few months ago still lingers in my mind—the rainy, cozy early May weather (thank god for valet parking), the huge windows with rain dripping down the panes, the wonderful service from Sandra, and the decadent food we enjoyed. We were celebrating my father-in-law's birthday, and Scales was the perfect choice for this special occasion. 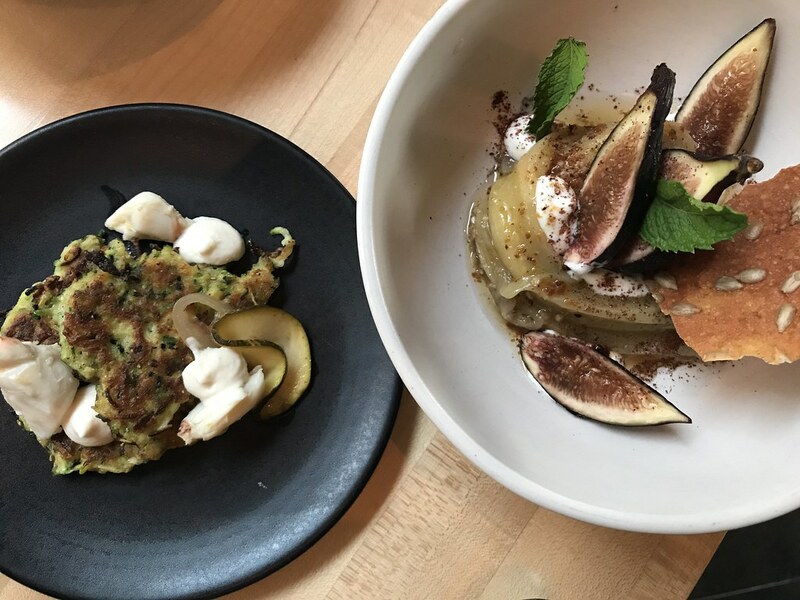 I take a certain amount of pride in recommending Portland restaurants, curating an enjoyable experience for different people and different circumstances. 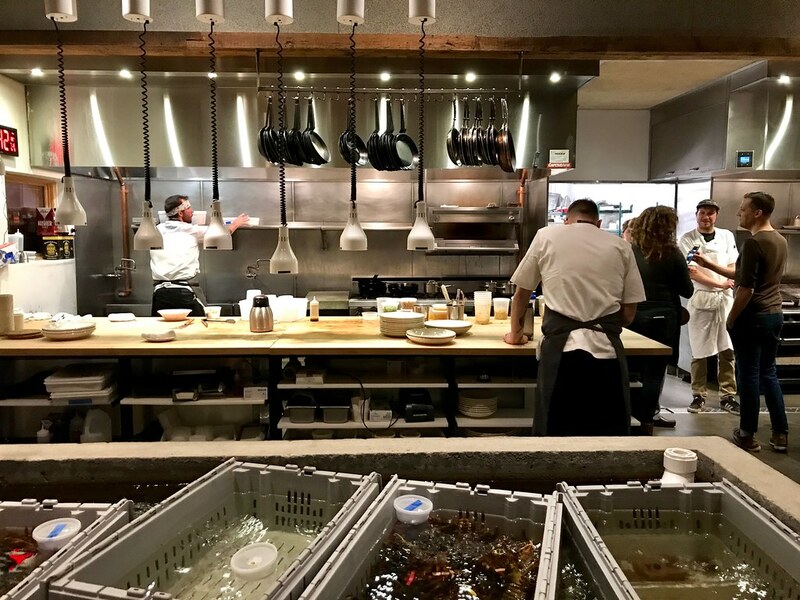 I wanted Scales to impress, having switched the birthday dinner reservation at nearly the last minute from Street & Co. after an impromptu happy hour at Scales with friends. I figured my in-laws would love the views of the waterfront, the menu, and the beautiful renovation of this former seafood warehouse. And I was right, but I certainly can't take much credit for allowing the capable staff at Scales to do their thing. From the moment we stepped in the door until we left, everyone was so friendly and warm, so willing to chat even when they were busy, to say nothing (yet) of the quality of the food. And while Scales is not a cheap meal, the quality of the food and service reflect money well spent. We started with a bottle of wine, which Sandra helped us pick out. We wanted Italian wine, as we're planning a trip to Italy in the fall, and she recommended a "baby Super Tuscan," a phrase that displays so much of my ignorance about Italian wine (wine in general?) that I had to just shrug and take her word for it. 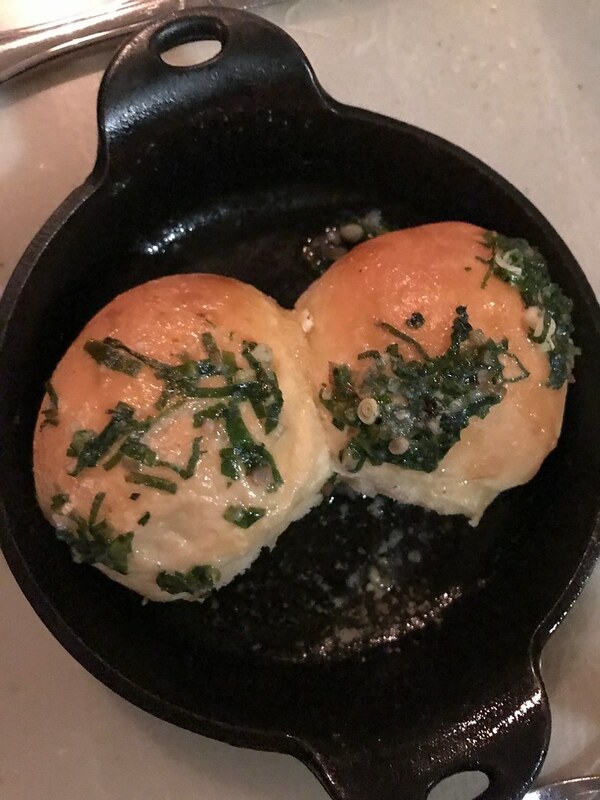 While our meal came with some housemade sourdough bread, I knew to start with the real star of the show: the Parker House rolls slathered with ramp butter ($4). We'd ordered them with our mussels at happy hour, and I was more than willing to repeat the performance a few days later. Impossibly soft with delicious salty, oniony butter running down the sides. Uh, OK. I shared a salad with A., which the kitchen thoughtfully split onto two plates for us. 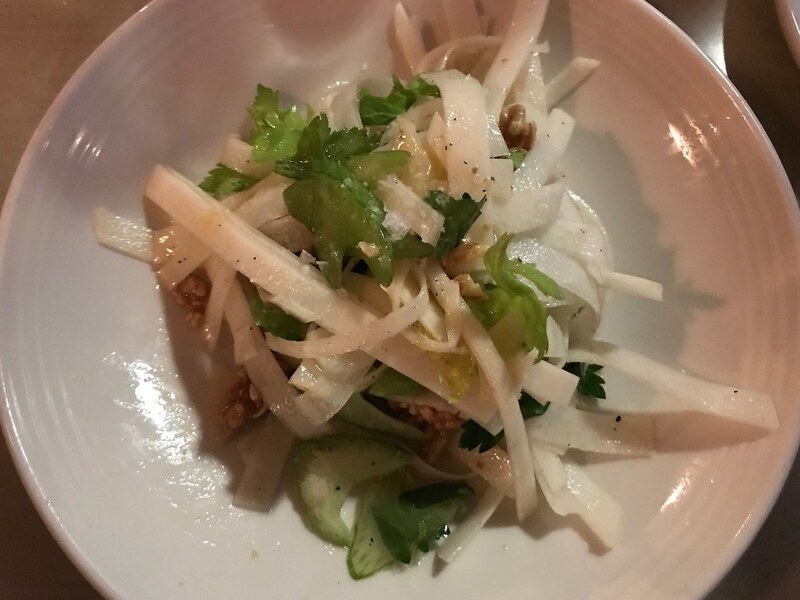 The salad was sticks of shaved kohlrabi with gouda, walnuts, thinly sliced celery, and lemon pepper vinaigrette ($11), and it was a sleeper hit. It was so fresh and crunchy with the cheese and walnuts adding a richness that didn't make the salad feel like an exercise in deprivation or health. My favorite kind of salad, really. But it was my entree that really stole the show. 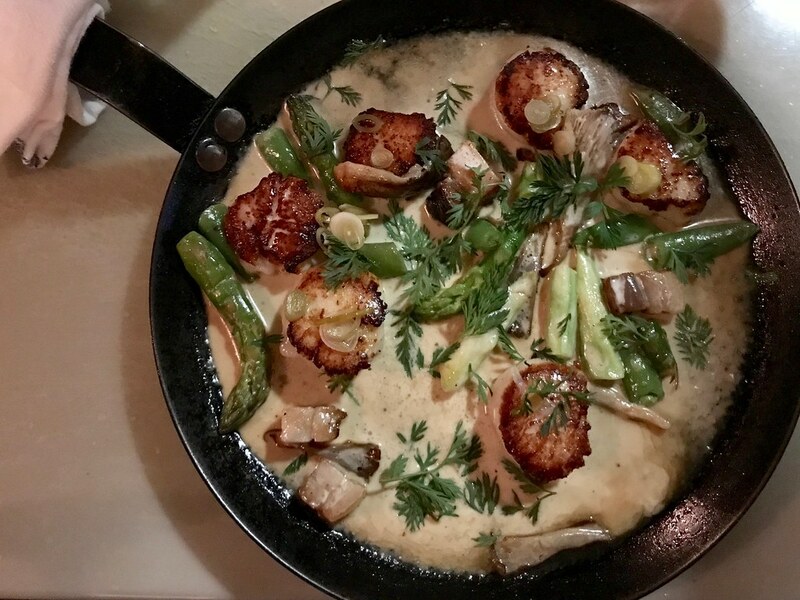 I could barely even tell you what other people had, as I was too 😍 over my seared scallops with oyster mushrooms, asparagus, salsify cream, and bacon ($34.50). It was spectacular—a beautiful mix of rich and fresh elements and a hearty portion that I could be generous and happily share a few bites. 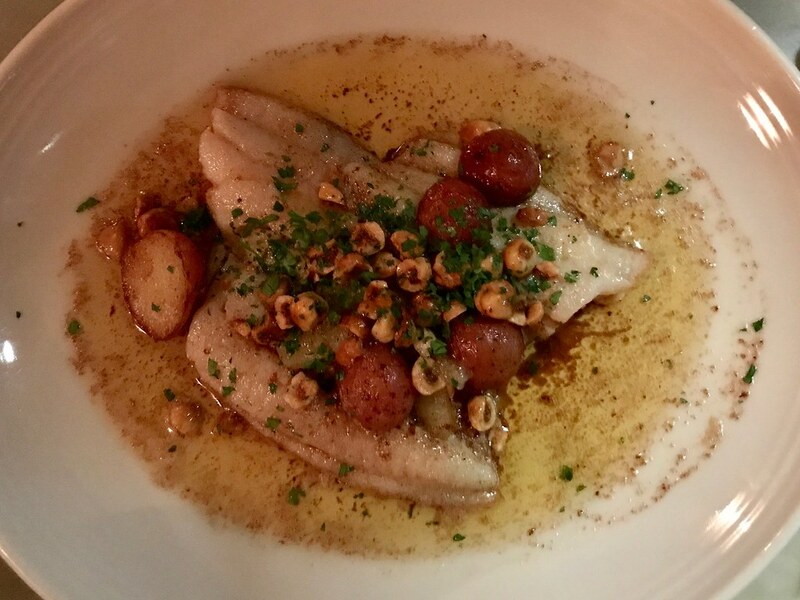 My mother-in-law had a beautiful piece of lemon sole, pan roasted with hazelnuts, brown butter, lemon and potatoes ($33), while the men both had the roasted haddock special. We ended our dinner with a dessert of peanut butter pie, with a candle, another thoughtful touch to end a meal that had been full of them. Like I said, while dinner at Scales is not inexpensive, it is certainly worth it. 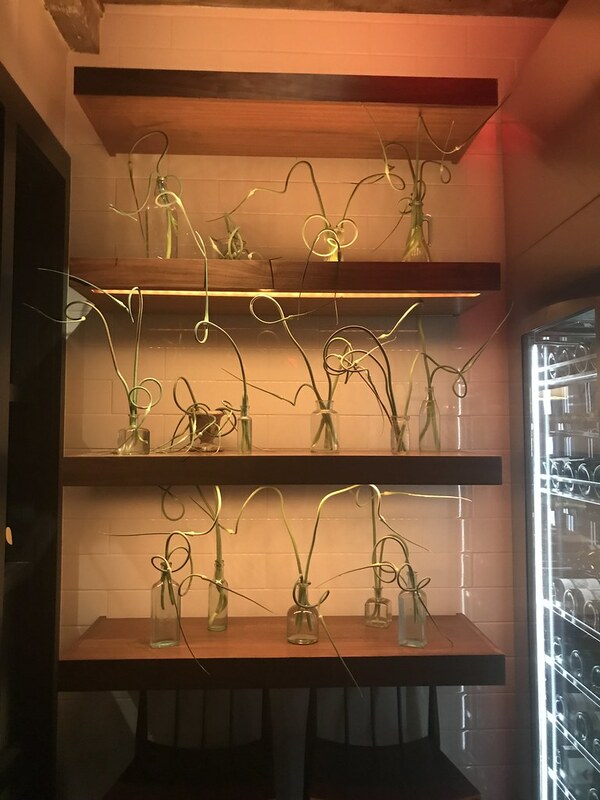 Be sure to make a reservation, as like most restaurants in Portland now, it's popular and difficult to get a table without planning ahead. And consider happy hour in the bar/lounge area, where the full menu is available and you can still enjoy the ambiance and great service. 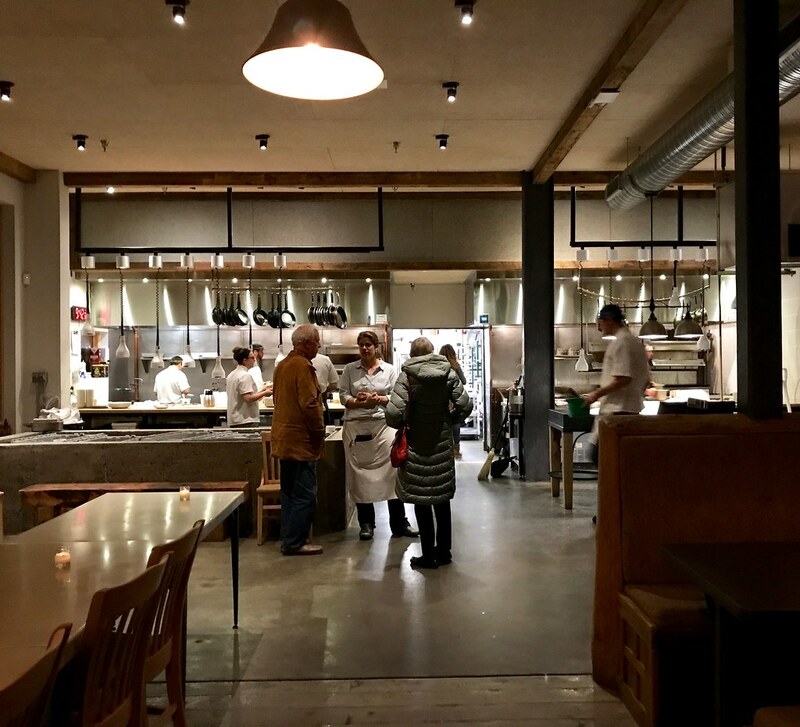 The list of restaurants outside of Portland I want to visit is long—but truth be told, I don't leave the city that much, and when I do it's usually for work, leaving me not much time to explore an area's food scene. 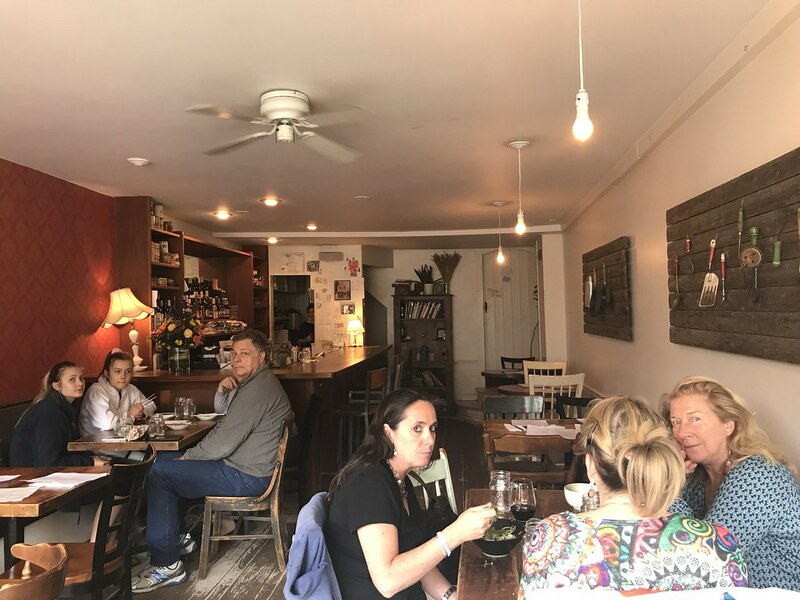 But two recent trips to Camden and Lincolnville gave me the opportunity to finally dine at Long Grain in Camden, a place I'd heard many raves about. The first visit was for fun, up to the Camden boutique hotel Whitehall's opening night. 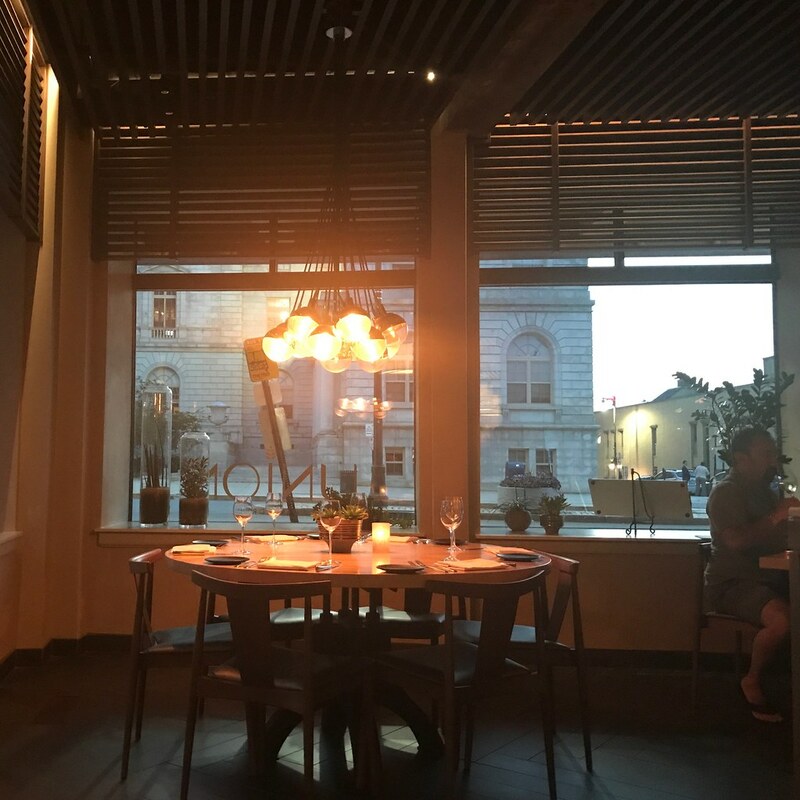 I have stayed at the Whitehall before and love its on-site restaurant, hip outdoor space, and proximity to downtown Camden. Before the evening's poetry night kicked off, I went over to Long Grain to enjoy dinner. 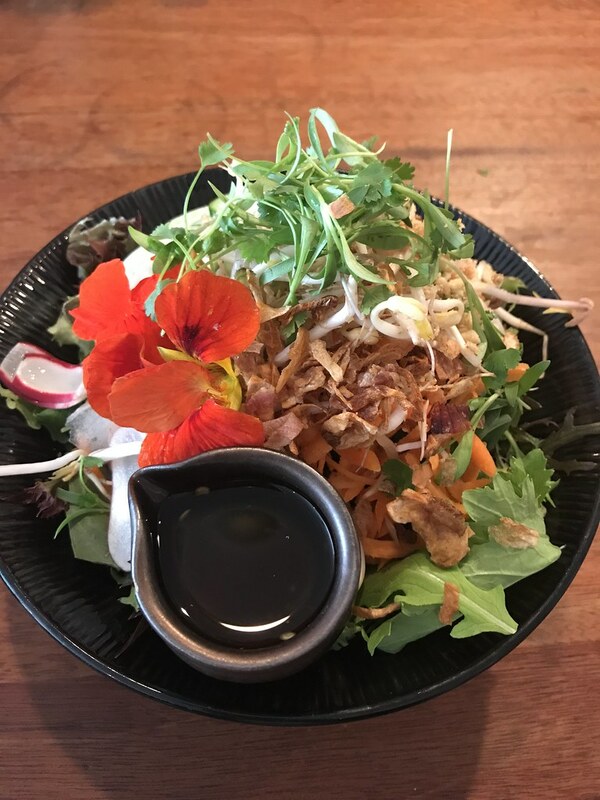 Long Grain is usually billed as a Thai restaurant, but they also serve Vietnamese, Japanese, and other Asian dishes using local food, with a pricetag about on par with Portland Thai restaurants. The restaurant is small, with only 10 or so tables and a few seats at the bar. The few times I've tried to go in the past, the wait has been considerable due to limited seating. This night though, while the restaurant was still full even in mid-May, we only had to wait a few minutes for seats at the bar. I started with an order of the street wings ($12), served undressed with a spicy/sweet dipping sauce on the side. 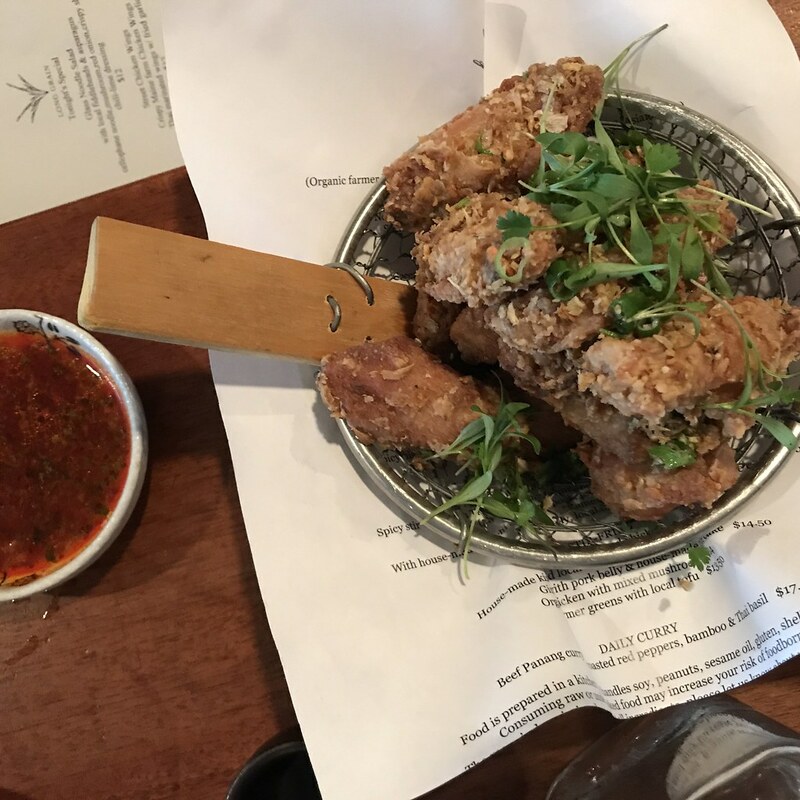 They were super crispy, maybe battered and fried twice and very moist inside—more like fried chicken than typical sports bar wings. Here I need to tell you that I went back to Long Grain a month later for lunch by myself and wasn't able to stray from the next two dishes. I had good intentions of exploring the rest of the menu, but these two dishes were such home runs for me the first time around that I couldn't help but order them again. The Vietnamese salad with nuoc cham dressing ($9) was so fresh and light—a wonderful mix of vegetables, a few vermicelli noodles, fried garlic and shallots, and lots of fresh mint, basil, and cilantro. With a tart and sweet dressing, I was in heaven. I wish all my salads could be like this one. 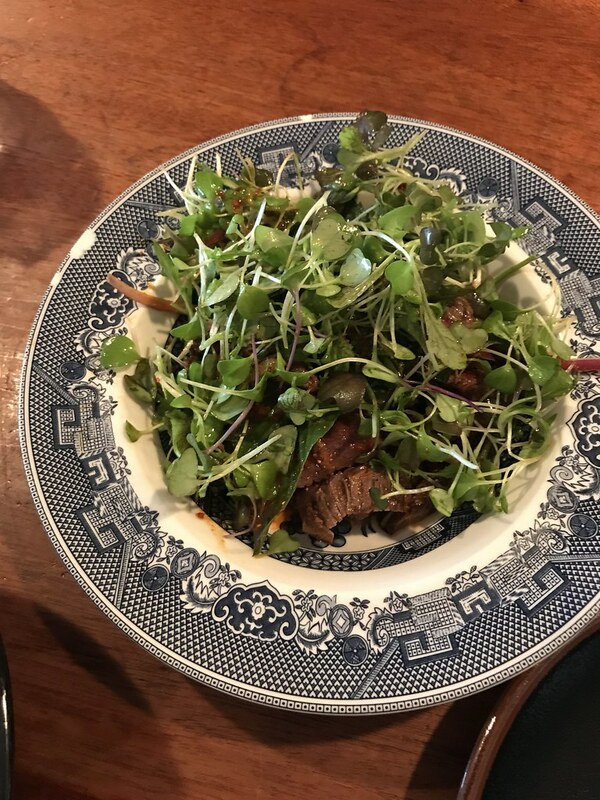 Same with the Northeastern style Thai beef ($12)—this is a lifestyle salad with fresh herbs, grilled beef and lots of lime juice and fish sauce. It's slightly spicy too, and I inhaled it with sweat breaking out on my brow. So from years of no visits to Long Grain to two in a month—we'll see if on my next visit I can manage to branch out in my ordering. Don't wait as long as I did to venture up to Camden and enjoy lunch or dinner at Long Grain. They do take reservations for both meals up to one month in advance. I am already looking for my next reason to visit.